Dr. Lami is unique within the wealth management industry. 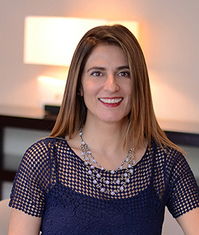 A Clinically Licensed Psychologist from California and a UK Chartered Psychologist, for nearly 20 years, Dr Lami has been assisting global HNW families manage the non-fiscal aspects of their wealth across the generations. Her work focuses on finding creative and relevant solutions to the non-financial challenges of wealth by facilitating, advising, educating and coaching them to develop a deeper understanding of their respective mind-sets and the impact Emotional Intelligence has on matters relating to wealth, relationships, parenting, family history, planning, succession and other processes. Coming from a family business background, Dr Lami has personal and professional experience in this space, as she helps clients shorten, smooth and simplify challenges and processes. There is no blueprint to her work, as each family and each individual is unique. Instead, Dr. Lami builds the structure of her work around the issues that she pinpoints in each situation. Dr Lami regularly writes and lectures on the subject in the US and Europe.